India's leading airline IndiGo stressed on Thursday that it was keen to buy only state-owned carrier Air India's international operations and its low-cost arm Air India Express, if India does proceed with plans to carve up and sell the carrier. "Indigo is not looking to acquire all of Air India," said Rahul Bhatia, co-founder of the airline on a call with investors on Thursday, seeking to calm investor concerns that it may make an offer for the entire loss-making carrier. 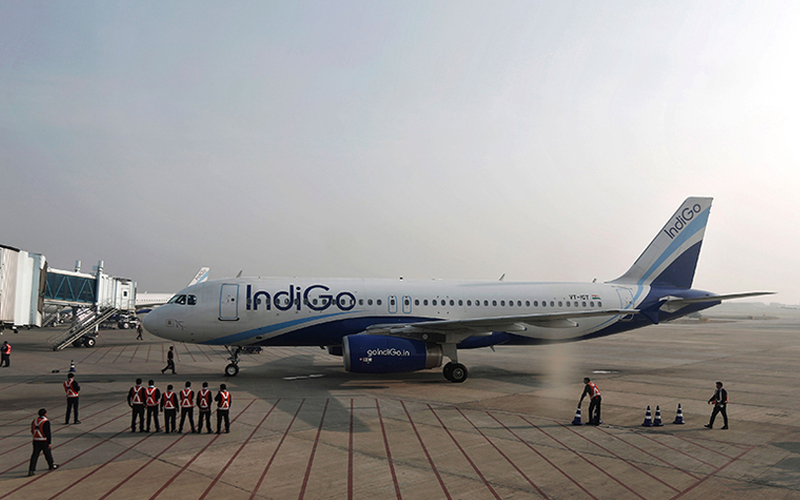 IndiGo, owned by InterGlobe Aviation, last week expressed unsolicited interest in buying a stake in state-owned Air India. India's cabinet last week gave "in-principle" approval to privatise Air India, kick-starting a process that could see the government offload an airline struggling to turn a profit amidst growing competition from low-cost rivals. Bhatia said the carrier would need to "assess" if it were economically feasible to buy all parts of the carrier in the event that the government opts to only sell the business as a whole.